THE seed giant Monsanto has admitted pests have developed resistance to Bt crops introduced in India. 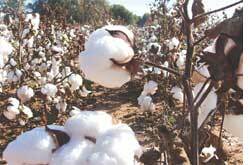 A news story published in Science on March 20, wrote Monsanto “detected unusual survival” of pink bollworms that fed on Bt cotton. Pushpa M Bhargava stated “this should be an eye opener”. Bhargava is the former director of the Centre for Cellular and Molecular Biology in Hyderabad and an arch anti-GM rallyist. The moratorium imposed by environment minister Jairam Ramesh on Bt crops could not be better timed. Jongsma and colleagues studied behavioural changes of insects in determining host plants for oviposition (laying eggs). Moths and butterflies (Lepidoptera) are cotton and maize crop pests which means even if it is Bt, the female chooses that crop to lay eggs although the offspring dies. Bt crops thus turn into what is called a “trap crop”. “Evolution further predicts a trap crop will eventually be avoided because the individuals doing that will be fitter,” explained Jongsma. The scientists constructed a model with the physiolgical resistance and behavioural oviposition choice genes of insects. They ran the model through 11 field settings that contained the Bt crop, its non-Bt counterpart and an alternative host and found the oviposition gene’s dominant form and the resistance gene’s recessive form were most frequently expressed. “Insects chose another crop (over Bt) in 80, 95 and 99 per cent of all cases”, explained Jongsma. In China, cotton is planted over 3.8 million hectares in mixed farms. A study found moths took corn, legumes and vegetables as alternative hosts in successive generations between 1997 and 2006 reducing rate of oviposition on Bt crops. “The message is insects are bound to avoid the Bt crop rather than becoming immune if they have a choice. Besides, a refuge policy on isogenic lines (growing Bt crop with its non-Bt counterpart) that India follows is expensive. Alternative hosts, whereas, are plants that are usually around,” said Jongsma. Bhargava disagreed: “A non-isogenic refuge policy does not make sense. The insects are host-specific. Besides, a refuge policy itself does not work for India. Farms are mostly small or marginal with no more than four hectares of land. Where is the space to grow alternatives? Only traditional methods of farming can ensure our food security”.